You are currently browsing the tag archive for the ‘free life coach consultation’ tag. 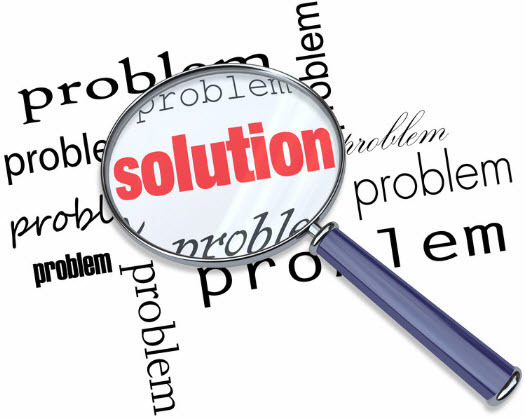 Mindful Solution-Focused Coaching – what is Solution-Focused? Being Focused on the Solution of a situation rather than the cause – the problem – is the driving force behind SF coaching. 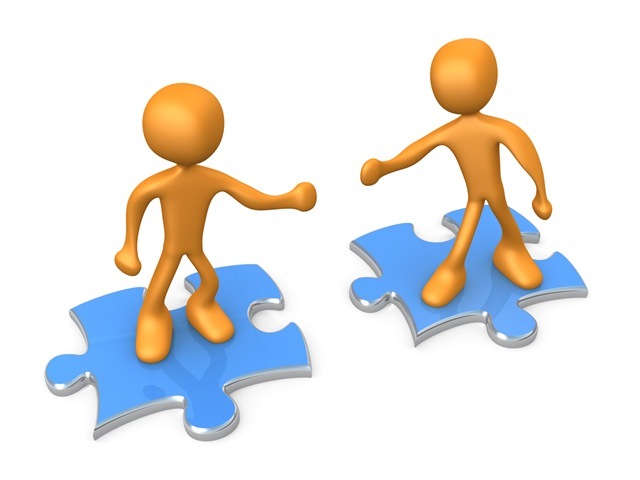 The idea being that it’s more useful to focus attention on building solutions for problems than on analyzing causes of problems, trusting that any person is competent to solve his or her own problems, but may need help finding solutions that fit his or her unique circumstances; individualized solutions that are really owned by the coachee/performer/team. Problem talk is negative, solution talk is positive and future focused. The future is both created and negotiable. People are not locked into a set of behaviors based on history and problems of the past. If it isn’t broken, don’t fix it. If it works, do more of it. The solution is not necessarily related to the problem. Talking about and acting upon what will be different is the focus, not uncovering why the problem occurred. No problem happens all the time; there are always exceptions that can be utilized. These exceptions can be used to create the solution. Small steps can lead to big changes. Being solution focused means using a series of small manageable steps to build the path to a Solution. Again, problem talk is negative, solution talk is positive and future focused. ThinkLARS – Life stress relieving Awareness and Resources for your Success! Mindful Solution-Focused Coaching – what is mindfulness? Mindfulness is awareness of, and an alert observing of your thoughts, emotions, body sensations, desires, memories, images, personality dynamics, attitudes, motivation, behavior, etc. When you are mindful of something, you are observing it, not caught up in it and not identified with it. With people, you become more settled into being fully there with them, more peacefully relaxed in awareness of them and you and what’s happening, less identified with pleasant or unpleasant reactions that arise, less caught up in the past or future or sense of needing to make something happen. We can feel it immediately when someone else is mindfully present with us; similarly, others can feel it when you are that way yourself. Mindful Solution-Focused Coaching – what’s different? Mindfulness-Based Stress Reduction, M.B.S.R., and Solution-Focused coaching operate out of the understanding that by being aware of, and learn to consciously and systematically work with stress, pain, illness, and the challenges and demands of everyday life, by not turning away from them, but learning to be resilient with and through them, and to be willing to “own them”, YOU, together with your Coach, can design small do-able changes that will help you be more aligned with your beliefs and values. Let’s look at that definition in more depth and let’s start with Mindfulness-Based Stress Reduction. 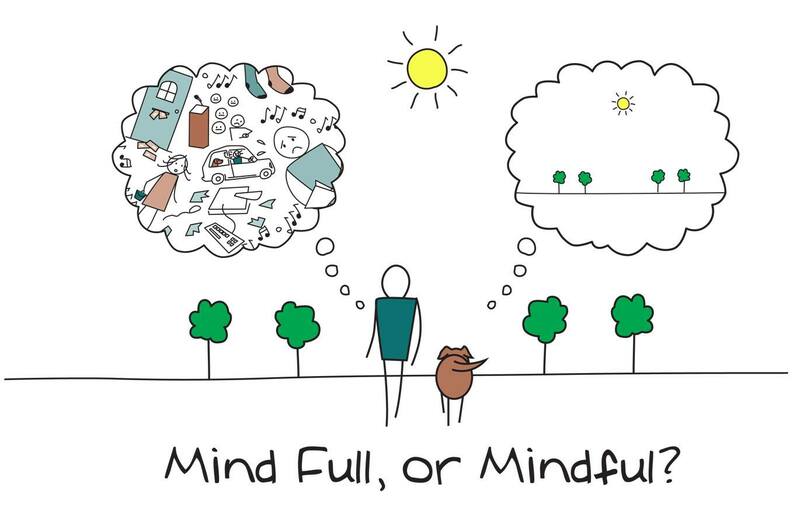 Ralph Waldo Emerson said “What lies behind us and what lies before us are small matters compared to what lies within us.” Mindfulness is about being fully aware of whatever is happening (good or bad) in the present moment, without filters or the lens of judgement. It’s about being aware, and living in the here and now. You may say, that’s fine but how does that reduce my stress level I live with day in and day out…? What if you could become mindful of your stress reactions and learn to respond to them in a more constructive and harmonious way than for example respond to being stuck in traffic by cursing, becoming agitated, angry, frustrated and honking your horn as if that would open up a lane for you to drive away and escape the bumper to bumper traffic…? The tension throughout your body, rapid or irregular breathing, gripping the steering wheel so tightly that your knuckles are turning white, or the more hidden impact of anxiety and irritation, such as elevated heart rate, blood pressure, or body temperature CAN be reversed by becoming aware (being mindful) or your physical tension, return to the present moment and release your death grip on the steering wheel, breath mindfully, which will gradually regulate other internal symptoms of stress, including heart rate and blood pressure. In short, mindfulness allows you to see your experience of being stuck in traffic clearly, and it can help you become more aware of how stress affects you, making you a more active participant in your health and well-being and experience any moment, no matter how difficult or intense, with more balance and peace. 1. One thing at a time. Do it right now. Remove distractions. 2. Simplify your schedule. Learn to say no. Leave room for down time and fun. 3. Get moving. Walk, hike, play a sport, go for a run, do yoga. 4. Develop one healthy habit this month. One habit at a time – for example eat fruit and veggies for snack, drink water instead of soda. 5. Do something calming. Find what calms you down. Housework, yard work, meditation, nature walk, reading, taking a bath. 6. Simplify your finances. Automate savings and bill payments and debt payments. Find ways to have fun that don’t involve spending money. 7. Have a blast! Have fun each day, even it’s just for a few minutes. Laugh a lot and often. Smile. 8. Get creative. If you like to write, do so. If you prefer to paint or play music or sketch or make pottery or do interior design or build things…Just do it! 9. Declutter. Take 20-30 minutes to just to through a room, getting rid of stuff you don’t use or need anymore. 10. Be early. Schedule some buffer time to avoid being late – because being late can be very stressful…and if you get somewhere early, meditate! Now your life will probably never be stress-free – I don’t think that’s even desirable, even if is possible, because stress is something that challenges us and helps us grow. At a reasonable level. But when stress gets too high, it causes us to be unhappy and unhealthy. To bare our heart (or soul) to someone, to reveal our innermost thoughts…to undress your soul. Check out my illustration – Feelings & Expressions©.